Vauxhall VRX8 - yellow and horny! 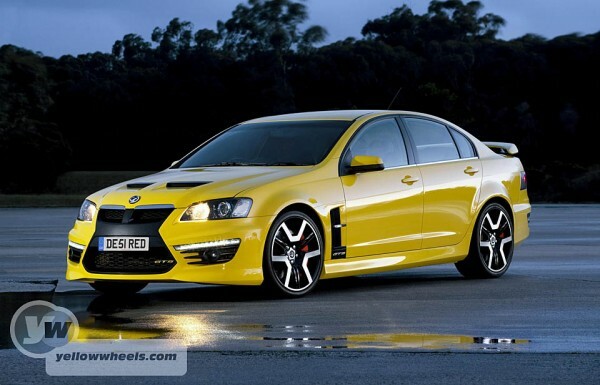 Thinking of beatling down to the land of OZ to sample GM’s latest fire-breathing V8 monster? No need, as Vauxhall have sailed their yellow submarine across the sea to these hallowed shores. Sporting gills of gargantuan proportions and LED crested slats up front, Vauxhall call the black grille a “Shockwave”. We’re not sure what the rear black paneling below the “Superflow” spoiler is called, surf-wave? Once you’ve wrenched your eyes off the Hot Wheels rims you might want to peek inside for some visual relief. Step down the conning tower into the sub’s command centre, where there’s plenty of space to have all your friends on board, and it’s all military black and grey with sonar dash display, and hang on – a trio of supplementary analogue instruments – depth gauge, oxygen mix and dive angle no doubt. Better hand you over to Vauxhall’s spec sheet before this submariner’s analogy sinks…Full speed ahead Mr Parker. Luton – Vauxhall’s storming VXR8 model is back with a vengeance, packing heavily revised front- and rear-end styling, a new cabin and a raft of new technology to enhance its appeal to drivers in search of one of the last, great rear-drive V8 super-saloons. 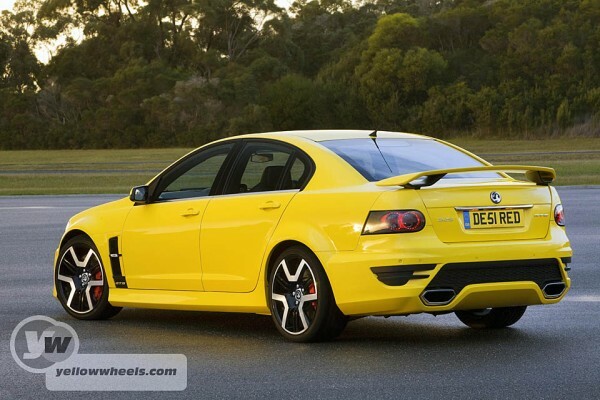 Priced at £49,500 (inc. 20 per cent VAT) and available to order now, the new VXR8 is now based on HSV’s E3 GTS model, just launched in Australia, the previous VXR8 representing the old version of the lower-spec ClubSport R8. That means it still undercuts full-size super saloons like the Audi RS6, Jaguar XFR and Mercedes E63 AMG by between £13k and £29k, and even performance saloons from the class below, such as the BMW M3 and Mercedes C63 AMG. A new, ‘Shockwave’ grille, LED daytime running lights and sleek new wing-vents mark the new car out from the front, while the rear features a new ‘Superflow’ rear spoiler, LED tail lamps and twin exhaust tips that mimic the shape of the front grille. As you can see from these first official press shots of our Hazard Yellow car, the new VXR8 will never blend into the scenery! As before, the new VXR8’s race-bred chassis uses MacPherson struts/progressive rate coil springs at the front and a multi-link independent set-up at the rear. But for the first time on a VXR8, Vauxhall has employed Magnetic Ride Control (MRC), a suspension system which adapts up to 1000 times a seconds to road conditions and driver inputs. Based on technology used in GM’s current Corvette ZR1 supercar, MRC works by sending an electric current through damper units filled with ‘soft’ magnetic particles. These particles harden as the input reaches its maximum value, providing drivers with exceptional levels of ride, handling and stopping power. Complementing the new VXR8’s MRC is Launch Control, which is engaged when drivers select the ESC’s (Electronic Stability Control) Competition Mode. The system dictates the level of torque delivered to the rear wheels for maximum acceleration, according to surface conditions. All the driver has to do is floor the throttle and let the car do the rest. Extensive testing has proved that LC results in acceleration runs no more than 0.1 second apart. 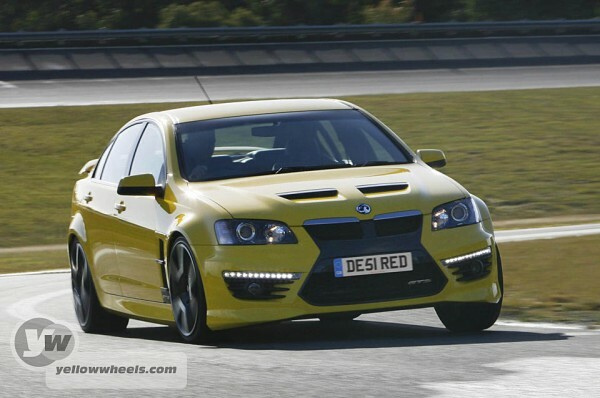 Of course, no VXR8 would be complete without a large-capacity V8, and this latest version doesn’t disappoint. The fourth generation 6.2-litre LS3 unit produces 431PS and a massive 550Nm of torque, enough to propel the VXR8 from 0-60mph in 4.9 seconds and on to a governed top speed of 155mph. As before, drive is delivered to the rear axle via either a six-speed manual or auto transmission, working through a mechanical limited slip differential. Inside, the new VXR8 has undergone a transformation. Full leather trim is now standard, and front occupants are cocooned in special HSV Performance Seats with eight-way adjustability. A new instrument cluster and surround, centre stack and switchgear provide a cleaner and more integrated look, while standard equipment also includes Aux-in/USB inputs, iPod support and Bluetooth with phone book display and touch-screen dialing. But for drivers who want to engage with their VXR8 like never before, Vauxhall has introduced EDI, or Enhanced Driver Interface. EDI connects with the on-board computer to constantly stream real-time vehicle dynamics and performance to the car’s main 5-inch monitor. At the touch of the screen, drivers can access a variety of data such as vehicle G-forces, power and torque and lap times – even the degree to which their VXR8 is drifting. Completing the clever package is the ability for drivers to download data, such as track day performance, and analyse it using the MOTEC i2 software provided.